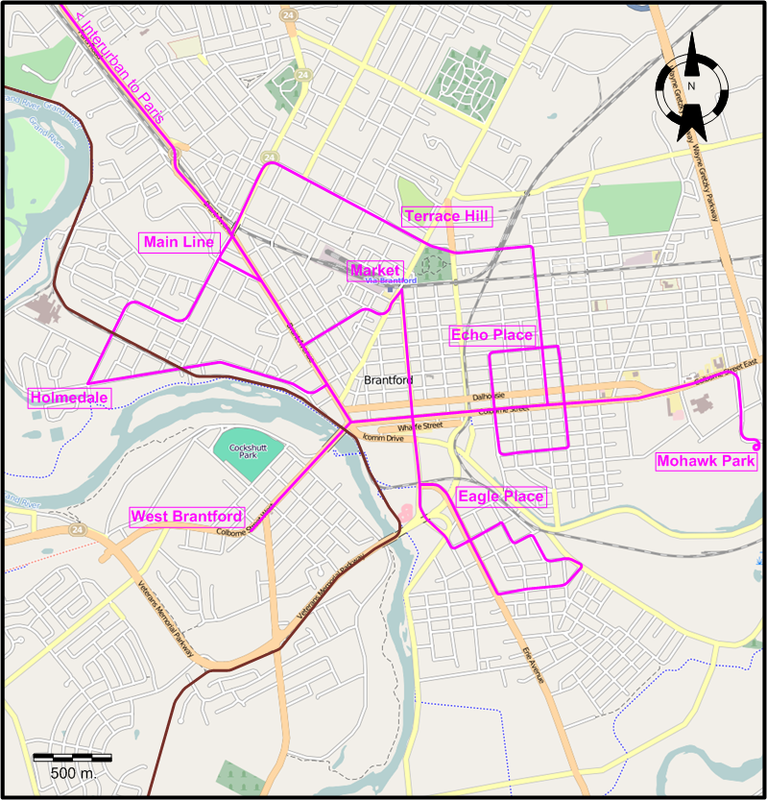 Interurban and city streetcar systems in the Grand River Valley on the last day of operation of the Grand Valley Railway interurban between Brantford and Paris. 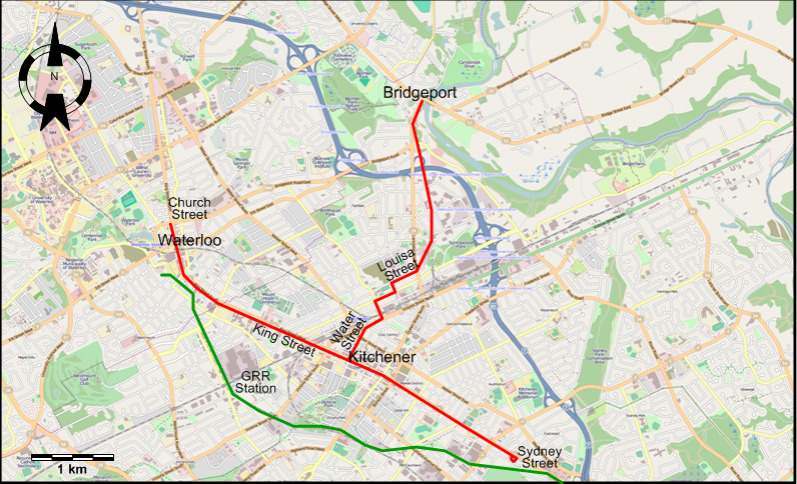 Note: Streetcar lines in Brantford were identified by the part of the town being served. I have no information as to where their downtown terminuses were. Note: Streetcar lines in Guelph started at the Guelph CNR Station, and were identified by their destination. Brantford Municipal Railway: ? km. 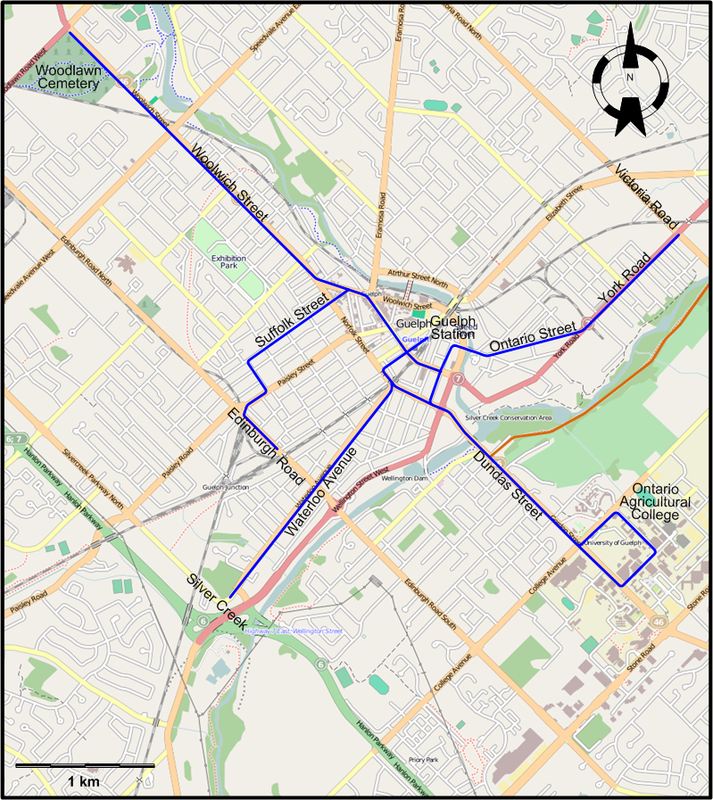 Canadian National Electric Railways (Toronto- Guelph): 79 km. 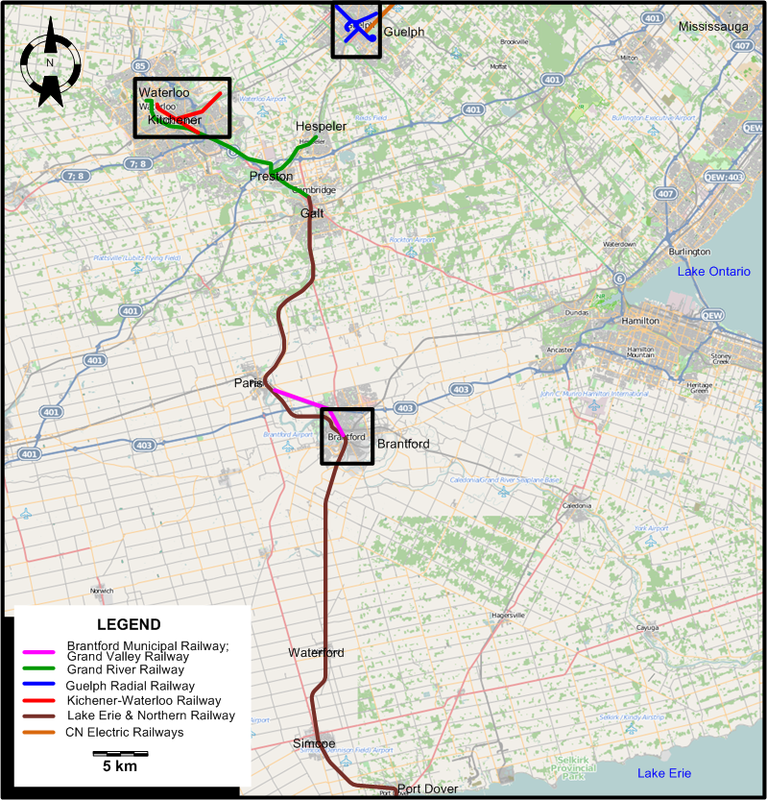 Grand River Railway: 30 km. Guelph Hydro Electric Railways: ? km. Kitchener-Waterloo Railway: ca. 9 km. Lake Erie & Northern Railway: 82 km.